Neil Leslie Diamond was born in Brooklyn in 1941. His parents were Russian and Polish immigrants and both Jewish. His dad was a dry-goods merchant. When he was in high school he met Barbra Streisand in a Freshman Chorus and Choral Club. Years later they would become friends. When he was sixteen Diamond was sent to a Jewish summer camp called Surprise Lake Camp in upstate New York. While there he heard folk singer, Pete Seeger, perform in concert. That year Diamond got a guitar and, influenced by Pete Seeger, began to write poems and song lyrics. While he was in his Senior year in high school, Sunbeam Music Publishing gave Neil Diamond an initial four month contract composing songs for $50 a week (US $413 in 2017 dollars). and he dropped out of college to accept it. In 1962 Diamond teamed up with a high school friend, Jack Parker, and released a song called “You Are My Love At Last.” The next year Neil Diamond released his first song under his name titled “At Night” on the Columbia label. The tune failed to get much attention and Columbia didn’t renew their contract with Diamond. 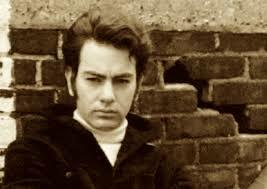 By 1966 Neil Diamond struck gold by charting his first singles onto the Billboard Hot 100 with “Solitary Man” peaking at #55 and “Cherry Cherry” climbing to #6. Later that year his song, “I’m A Believer”, was recorded by The Monkees. The tune became the #5 hit of 1967. In Vancouver, Neil Diamond generally had more successful chart runs here on the West Coast of Canada compared to the Billboard Hot 100. “Solitary Man”, stalled at #55 in the USA but climbed to #12 in Vancouver. “I Got The Feelin’ (Oh No No)” stalled at #16 on the USA, but peaked at #4 in Vancouver. “You Got To Me” was also a #4 hit in Vancouver, but barely made the Top 20 on the Billboard charts, cresting at #18. “Thank The Lord For The Nightime” was #13 in the USA, but went up to #6 in Vancouver. Similarly, “Kentucky Woman” met with a better response in Vancouver as it climbed to #10, but stalled at #22 on the Billboard Hot 100. Five of seven charting songs Neil Diamond had on the Vancouver charts did significantly better than in his native America. His first single release in 1968, “Red Red Wine”, followed this familiar pattern. “Red Red Wine” is a song written and originally recorded by Neil Diamond. It is included on Neil’s second studio album, Just for You. When Neil left the Bang Records label in 1968, Bang continued to release Neil Diamond singles, often adding newly recorded instruments and background vocals to album tracks from the two Neil Diamond albums that Bang had issued. For the “Red Red Wine” single, Bang added a background choir without Neil’s involvement or permission. Diamond’s version reached #62 on the Billboard charts in 1968. The single was included in a 1983 vinyl compilation album, Classics: The Early Years. Though it is available on a compact disc compilation, The Greatest Hits: 1966-1992, it is a live version Diamond recorded in 1989 and not the original Bang recording. The common view that drinking makes you forget about things and impairs your learning is not wrong, but it highlights only one side of what alcohol does to the brain. “Usually, when we talk about learning and memory, we’re talking about conscious memory. Alcohol diminishes our ability to hold on to pieces of information like your colleague’s name, or the definition of a word, or where you parked your car this morning. But our subconscious is learning and remembering too, and alcohol may actually increase our capacity to learn, or “conditionability”, at that level.” Mr Morikawa’s study found that repeated exposure to ethanol enhances synaptic plasticity in a key area in the brain. Consequently, the person in Neil Diamond’s “Red Red Wine” while consciously forgetting about the woman on his mind, is subconsciously remembering her more and more. The subconscious thoughts inevitably surface and he resorts to another bottle of red wine to stave off fresh memories temporarily. * Do things you like more often. Do things that you didn’t have time for when you were in a relationship. * Include sports and exercise, which release natural endorphins and improve mood. Try going to the gym, running, hiking, skiing, curling, swimming, do whatever physical activity makes you happy. Routine exercise will keep you feel good about your body. * Do whatever feels good for a while, no matter what that may entail – play games, go dancing, go out to theatre, movies, listen to music, take a course or work harder. Whatever activity keeps you absorbed, do it. Try to be productive. * Hang out with your friends. Don’t be afraid to talk to one of your friends about what you are feeling. Don’t feel bad if you are having a rough time at first. Eventually, as you move past feelings of sadness, anger or confusion, you can watch for what emerges as you adjust the the break-up and let your personality shine. Don’t forget that friends and family can be a great support system, and may even give you some advice. * Don’t stay home alone day after day. * Incorporate new activities into your life and meet new people. It will give you encouragement to focus on your creativity. * Give attention to your career. * Be independent and accept that the break-up is real. Don’t try to spend time re-connecting with your ex, it will only prolong the often painful/frustrating process of letting go. * Don’t force yourself to start seeing someone else as soon as you’ve broken up. Be open to others, but let things develop organically/naturally. Check in with yourself and be sure you are feeling good about yourself before you begin to start dating again. * Give yourself time. Time does heal and with new life experiences and activities you have the opportunity to focus on what is happening now in your life instead of focusing on the relationship that is over. 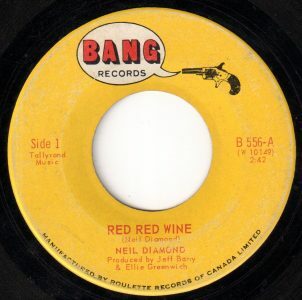 In 1968 Neil Diamond’s “Red Red Wine” peaked at #7 in Vancouver. It climbed to #2 in the small city of Marshfield, Wisconsin, and #6 in Toronto. Elsewhere it managed meager chart performances. “Red Red Wine” has been covered by Tony Tribe, Jimmy James & the Vagabonds, and more famously by British reggae group UB40, whose version topped the UK singles chart in 1983 and the Billboard Hot 100 in 1988. Prior to the release of “Red Red Wine,” Neil Diamond left Bang Records and signed a contract with Uni Records, named after Universal Pictures. He went on to have some of his greatest hits. These include “Sweet Caroline”, “Holly Holy”, “Cracklin’ Rosie” and “Song Sung Blue”. The latter two were both number one hits on the Billboard Hot 100. Between 1966 and 1977 Neil Diamond charted 19 songs into the Top Ten in Vancouver and 8 songs into the Top Ten on the Billboard Hot 100. His last #1 hit was a duet with Barbra Streisand titled “You Don’t Bring Me Flowers Anymore” in December 1978. He had several major hits on the pop charts into the early 1980s, including “America,” a song with a very positive interpretation of the history of immigration to the United States. Diamond later told a Jon Bream in his book Neil Diamond Is Forever: The Man And His Music, “America” was the story of my grandparents. It’s my gift to them, and it’s very real for me … In a way, it speaks to the immigrant in all of us.” The song became the theme song for the 1988 campaign of Democratic presidential candidate, Michael Dukakis. Drinking to Forget? Bad News… Alcohol can Actually Help You Remember, Daily Mail, London, UK, April 18, 2011. Emma Cooke, 19 Things Everyone Should Do After a Break-up, Buzzfeed.com, October 1, 2015. Mandy Oaklander, Here’s What Happens When You Drink Red Wine Every Night, Time Magazine, New York, NY, October 12, 2015.